The analyst, John C. Fry, was charged by prosecutors in the US Attorney's Office for the Northern District of California with the unauthorized disclosure of a document called a suspicious activity report, or SAR, which banks file when they review transactions that raise red flags. CNN previously reported that the Justice Department was investigating the leak last year of the confidential reports related to Cohen's banking activity. Fry, an investigative analyst with the IRS's law enforcement arm, is accused of turning over the reports in the spring of 2018 to an attorney, Michael Avenatti, and of confirming confidential banking information in them to a reporter for The New Yorker , according to the complaint, which was filed under seal earlier this month. 8, Fry, who works in the IRS 'San Francisco office, accessed and downloaded five SARs connected to Cohen, according to the complaint, and then , see that other documents were unavailable in the database, turned over some of the SARs to Avenatti and customs The New York reporter that he was alarmed to see other SARs were inaccessible, the complaint says. In fact, the SARs that were not available to Fry had been given "restricted access" in the system "because they were related to a sensitive open investigation." At the time, he was investigated by the Manhattan US Attorney's office, which later charged him with eight counts, to which he pleaded guilty. 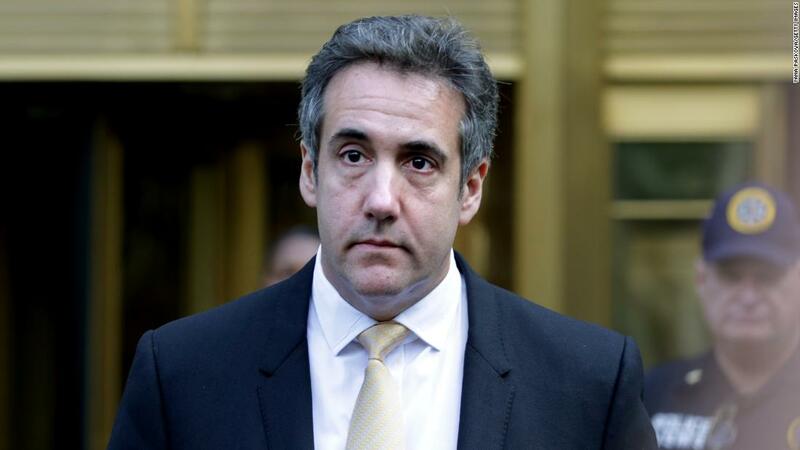 The bank transactions of Cohen became public last May when Avenatti posted a memo online outlining numerous payments to Cohen from a company linked to a Russian oligarch, pharmaceutical giant Novartis, AT&T, which owns CNN, and others. Fry's hearing date was pushed back several times as federal prosecutors were engaged with Fry's attorney on plea negotiations, according to a person familiar with the talks. As of Thursday, Fry declined to plead to felony charges in exchange for probation. As a result, prosecutors will seek an indictment of Fry on February 28, this person said, and are expected to seek two additional charges, including misuse of a Social Security number and misuse of a government computer.